이나영 앞에서 바보가 되어버린 영국남자!! 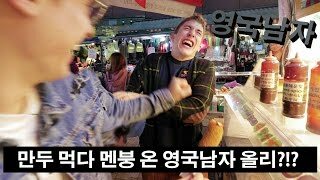 최근에 저희 이나영씨와 같이 맥심 광고에 출연할 기회가 생겨서, 한국가서 부산까지 갔어요! 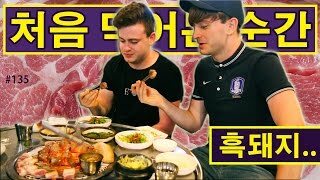 그리고 이번이 바로 올리가 한국어를 연습하기 딱 좋은 기회라고 생각해서, 올리가 배운 한국어 중에 이나영씨한테 어떤 문장 연습해볼 수 있을지 생각해봤어요. 과연 올리가 이나영씨 앞에서 그동안 갈고닦은 한국어 실력을 뽐낼 수 있었을까요? Recently we had the chance to meet Lee Na-Young while filming an advert for Maxim Mocha Gold, and so we flew to Korea and took the train down to Busan for this incredible opportunity! 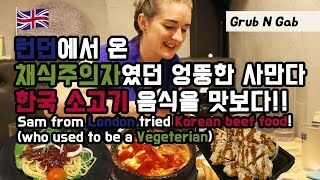 We thought it would also be the perfect opportunity for Ollie to practise his Korean with Lee Na-Young, so we practised some phrases for him to say, and off we went! Will Ollie be able to show Lee Na-Young how fluent his Korean is now?? Or will he freeze in the moment! ?